In the post-Soviet period, communism went through several stages in our society. First, after the fall of the USSR, there were Marxist circles that still had inertia, which did not surrender, believing that the catastrophe was temporary. In this passive attitude, an indecisive and conformist nostalgia became a form of suicide and led to their disappearance. There were also radical communists in the 90’s who tried to get together – among them were passionate people who were not significant during the USSR itself, but in the 90’s they turned out to be honest people with integrity – but gradually they also ceased to really be. For a while in Russia, we were without communists. Read more about Globalization And Liberalism Is On The Verge Of Collapse – But Who And What Comes Next? Putin is the compromise. If he is gone, there will be no compromise. It is clear that the elite is so resourceful and mean that it will try to adapt to another system, but this does not fundamentally cancel the fact that Putin cannot decisively influence the future. In a sense, he has already influenced it. And this influence is very positive: he showed that the 90s have an alternative, that it lies somewhere in the plane of patriotism (Second Chechen, Munich speech, “Our Crimea”, etc. ), and this, in fact, is a grandiose accomplishment. But at the same time, Putin did not give the form and institutionalization of this patriotism, did not change the foundations of the state laid just in the 90s, did not carry out the rotation of the elites, ignored the popular demand for social justice. The established regime in the eyes of the people as a whole is much better than it was in the 90s (hence its legitimacy), but definitely worse than what is required. While Putin is in place, his merits cover the shortcomings. Once he leaves, a delicate and rather unnatural balance will collapse. By the way, Surkov is not right about de Gaulle: his legitimacy, relying on his role in World War II and the Resistance, lasted only until the early 70s, when he remained in power, and collapsed during the events of 1968, which abolished Gollist conservatism and established new socialist paradigm. Later, de Gaulle remained only nostalgia and simulacra. Russia vs Ukraine: war is always possible, so never say "never"
B.N. :You're working on your own, in my opinion, capital work, under the heading "Noomahiа". In it you paid attention to Slavic and Serbian Logos? Can you say something more about this? 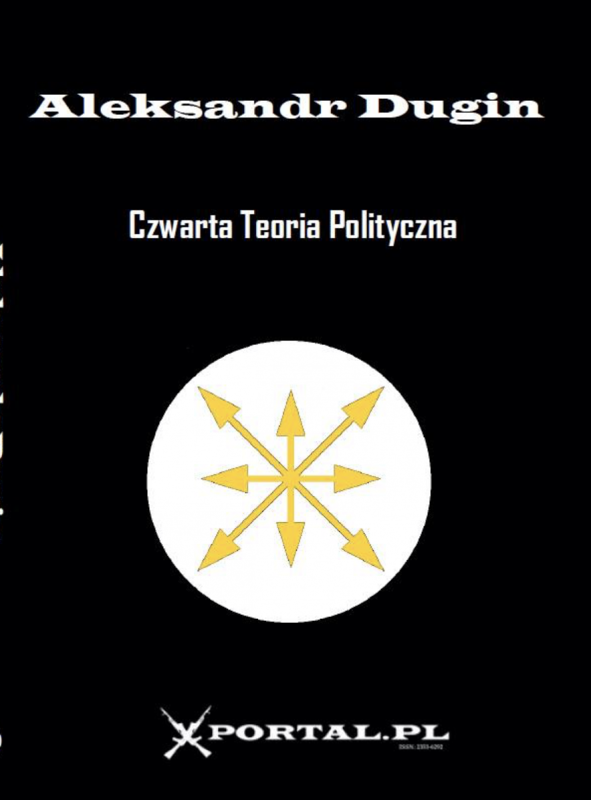 A.D.:I have already published two volumes on East European civilization and the part is dedicated to Serbian Logos. I have discovered that Serbs are essentially warriors. That is the heritage of White Serbia and the ancient history – it seems that Sarmatian factor played here important role. But Serbs have settled in the Balkan region where long before first indo-europeans prevailed ancient matriarchy – the civilization of the Great Mother – its rests we see in Lepenski Vir, Vincia and so on. So there is hidden influence of Logos of Cybele in Serbian tradition as well. I think that Kosovo battle and the epic choice of king Lazar is key to Serbian identity: Serb is that who prefers the glorious death for Orthodox faith and Serbian motherland to any richness and gifts from the enemy. So I think Serbs are not only people… You Serbs are a kind of mystical community, a Church of king Lazar devoted to the Kosovo as eternal example of loyalty, will, dignity and special kind of purely Serbian sanctity… All that I tried to explore in Noomakhia dedicated to Slavs and to Balkan civilization as such. By the way I have discover that it is wrong to represent Balkans as periphery of Europe. In some sense it is cradle of European peasantry and it is European peasantry that is responsible for many crucial elements of European identity… So I would be happy if my new books would be translated in Serbian as the other that are already translated and published in my beloved country. Read more about Russia vs Ukraine: war is always possible, so never say "never"
The escalation of tension in Russian-Ukrainian relations after the conflict in the Sea of Azov demands analysis. The formal side of the conflict is obvious: Poroshenko is not capable of winning the upcoming elections, so he arranged a provocation to impose state of emergency and disrupt them. That`s how Russian experts have commented on the situation, with a smile. This analysis is correct to a certain degree, but the decision is not spontaneous: Poroshenko has a plan, and it is more serious than some momentary trick. If the current escalation gradually calms down, then martial law will eventually be repealed, and elections will be held. Poroshenko will look like an idiot because the “Russian threat” will not be enough to improve his popularity. He must have another plan in mind. The only thing that would make Poroshenko's action logical, is a deeper orientation toward war with Russia. If such a war does not occur, Poroshenko will only have worsened his situation. Poroshenko needs more than escalation, he needs war. First of all, the fact that populist movements are directed against the political elite as a whole, without making a distinction, whether it is right or left-wing, is striking. This is the 'uprise of the periphery of society against its center'. In his famous work, the American sociologist Christopher Lasch (1932–1994) designated the form of government that prevails in modern Western society as the “elite revolution”. At the beginning of the XXth century, it was customary to follow José Ortega y Gasset's discourse about the “revolt of the masses”, whose increasing influence on politics threatened, it seemed, to destroy Western culture - the European Logos. Cold war was the confrontation between two ideological camps. Now there is no more clear distinction in the field of ideology, rather between two versions of the same liberal-democracy – advanced in the case of USA and EU and delayed in the case of Russia. So we would presume that should reduce considerably the tension. But it is not the case. So we have to search the reason of growing tensions in other field than ideology. The most likely the reasons of the “new cold war” are this time geopolitical. But it is legitimate to ask the question: That it was not in reality an ideological cold war between capitalism and socialism the moment of much more broader historically context the moment of Great War of Continents. Read more about THIRD WORLD WAR: THE BEGINNING? “The Swamp” is to become the new name for the globalist sect, the open society adepts, LGBT maniacs, Soros’ army, the post-humanists, and so on. Draining the Swamp is not only categorically imperative for America. It is a global challenge for all of us. Today, every people is under the rule of its own Swamp. We, all together, should start the fight against the Russian Swamp, the French Swamp, the German Swamp, and so on. We need to purge our societies of the Swamp’s influence. Instead of fighting between ourselves, let us drain it together. Swamp-drainers of the whole world unite! The other point is that anti-Americanism is over. Not because it was wrong, but exactly the opposite: because the American people themselves have started the revolution against precisely this aspect of the US that we all hated. Now the European ruling elite, as well as part of the Russian elite (that is still liberal), cannot be blamed as before for being too pro-American. They should now be blamed for being what they are: a corrupt, perverted, greedy gang of banksters and destroyers of cultures, traditions, and identities. So let us drain the European Swamp. Enough with Hollande, Merkel, and Brussels. Europe for Europeans. Soros and his sect should be publicly condemned. No religion resisted against the extensive hegemony of the modern culture as Islam did. In other words, Islam is the only religion that didn’t melt into the modern culture. Other religions like Christianity reacted against the modern culture and civilization, but soon they gave it up and came to recognize it. The internal structure of Islam is in a way that calls its followers to a permanent struggle against anything strange other than itself. this is a religious obligation that one’s success in this world and hid salvation in the next world is bound to this. If Muslims give up this duty for a while it isn’t going to cease forever. From the time that the third world came to know the modern civilization a process began to grow; the enlightened class of these societies were influenced by the new civilization and it went on to the level of being bewitched and crazy with it. They rejected their ethnic and local cultures in all aspects. There was an unquestionable sovereignty for the modern civilization and its values in the decisions made for these societies. On the other side there was an implicit confession from the lay people who in spite of living in their traditional atmosphere, submitted the priority of the modern culture or at least didn’t express their disagreement. Outside of enantiodromia, bureaucrats become (anti-liberal and anti-American) patriots, ideological patriots (Russia above all), and liberal supporters of the regime and its elite become opponents of the regime, and an implacable opposition to it (there should be no Russia at all). Liberals in irreconcilable opposition represent a Fifth Column, while the liberals in the government — the Sixth Column. 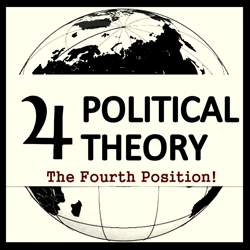 Symmetrically, a distinction exists between security officials and bureaucrats (within the elite), and the independent ideological core of patriotism (great power nationalists, supporters of the Orthodox Empire, traditionalists, conservatives and conservative revolutionaries, Eurasianists and followers of the 4PT). But in modern Russia, as in almost all modern powers of the second degree, the enantiodromia practically dominates everywhere. This is the alliance of military men for peace with the liberals for sovereignty. We are living in the decisive moment when Western civilization is approaching its end. Such terroristic acts as that of Paris 13.11 show it clearly and unmistakably. The West we knew doesn’t exist any longer. Can’t exist any longer. One upon a time there was a certain West. With patriarchic heroic values, Christian identity, deep and exquisite culture with Greek-Roman roots. The West of God, man and nature. There is nothing like that in sight. The ruins. The weak and poisonous liberal civilization based on self-indulgence and at the same time on self-hatred. With no identity but purely negative one. Peopled by humans egoistic and ashamed of themselves. It can have the future. In front of brutal post-modern ISIS-fighters it can’t affirm anything, can’t oppose anything, can’t suggest anything. The West can’t be any longer Western. It is loosing itself. It is drowning.